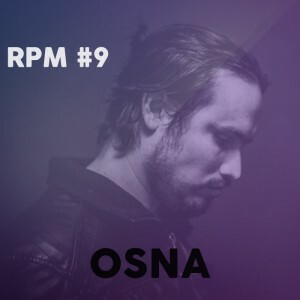 The latest in our Robotic Peacock Mix (RPM) series comes to us from the up-and-coming DJ/Producer OSNA, who captured our attention on his recent visit to Dallas. Hailing from Guadalajara, Mexico, his style is deep, emotional, and full of energy. Press play and dance along while reading our Q & A below! RP: Tell us a little about your mix and what inspired it. OSNA: My mix is very deep and techno influenced. I like to start off my sets at 119 BPM and reach no more than 124 BPM. I like my mixes to have lots of vocals and melodies, I like people to dance. What inspires me? Seeing the people move and to feel that good vibe that the people transmit is just the greatest feeling in the world. What made you want to start your side project, Death2Susan, and how does that sound differ from your solo productions? Well I always wanted to start a collaboration with my friend Pablo Quiñones. I always saw in his productions a great talent, he comes from a trance and progressive house background and I come from a deep techno background so I thought we can make something nice happen if we colab. So far we have 4 singles and are hoping to release our debut EP next year. You’re coming out of an exciting summer… What were some highlights of it? This summer I played my first international gigs, one in the state of Maine and another one in Texas. I’m gonna admit it, I was first skeptical about playing Maine since I didn’t know how Mainers were going to respond to my music. To my surprise, it was one of the most fun gigs I’ve ever played, the people danced until I closed the place down. I fell in love with Dallas, I didn’t imagine I was going to meet such great people and so much talent. I like to consider it a home for me now. Tell us about the scene in Guadalajara, where are some of your favorite spots to play and who are some local DJs you like to play with? Guadalajara is a great city with a lot of culture and a lot of musical talent. It is growing in the electronic music scene and I have to say that Bar Americas has been the impulse of the electronic movement. The best DJs in the world have played in this bar. I’ve been lucky to be one of the DJs that have stepped into their cabin and played a great set with its massive sound system that gets to your soul. Local DJs – there are so many but to name a few, Luis Flores which I think is the best techno producer in Mexico.. Balcazar & Sordo, these guys are geniuses when it comes to deep house, their productions are amazing.. You’ve got the Neim crew such as Pinto and Midnight Perverts, they are also on the rise to great things.. Then you’ve got Sequencers, two brothers with a very electric groove.. Pyramyth – this kid is always in the top list of Beatport for glitch hop next to Skrillex and other big names.. And the list goes on Dromme, Faryhde, Neptuno, Modulaire, Ramon Poslera, and many other new producers with great talent. What was your first exposure to electronic music, and what made you take the plunge and start making it yourself? I hate to say this but I actually got into DJing because I went to a deadmau5 concert and saw the way people reacted to his music and I told myself I wanted to do this so here I am jaja. If you had to choose between DJing and producing for the rest of your life, which would you pick and why? Hard question, but I would say DJing. I just love to be in front of people and to feel that vibe – there’s nothing like it. 8. Dawn (Hot Since 82 Remix) / Pete Tong feat. S.Y.F. Check out OSNA’s productions on Beatport and follow him on Soundcloud for more!